Cheap and playable guitars, which are always recommended for beginners, are bad investments as they can’t stand against extended practice and usage. Balancing between budget and quality is the hardest job in the world of instruments, but Yamaha’s somehow got through it with the FG800 and FS800. However, there’s still one more confused question: Yamaha FG800 vs Yamaha FS800, which is better? As you might notice the many similarities in their names, Yamaha FG800 and FS800 are in the same series. 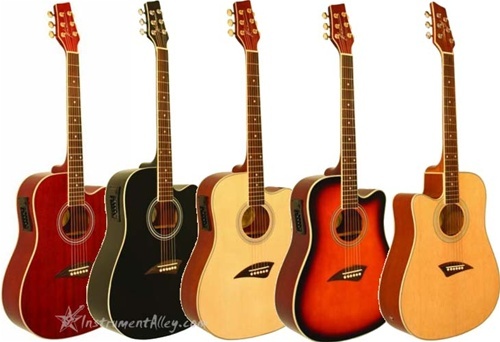 It is a series of affordable guitars with quality performance. In fact, they are the best-selling guitars right now in the market. So, what do these guitars have to achieve so high popularity? There is two most important mission of a guitar top: durability and sound. But completing both of them is not easy. For an affordable and cheap guitar, only one of the two aspects is done better. Some are tougher and last longer, while some are richer in sound but very fragile. However, the FG/FS series can be an exception. The top body of FG800 and FS800 is made of solid Sitka spruce. Spruce is a 60m Pine tree that is very hard and tall. A piece of solid, dense spruce is tougher than most other tonewoods of the same thickness. But toughness isn’t enough. A guitar top body also needs to absorb vibration energy from the strings and resonates to response to those signals. That increases the sound volume and quality. It’s useless to use a piece of wood that is so thick and strong so that cannot move at all. Therefore, using solid Sitka spruce for the guitar top body provides more durability while reducing the thickness for the sake of sound-making. Thanks to the top, the FG/FS guitar has a better resonation, producing a louder sound with more harmony. Moreover, it also has high resistance to water and other weather conditions, helping the guitar last as long as possible. Meanwhile, Yamaha uses nato wood for the back and sides of the FG-FS series. Nato is considered Eastern Mahogany thanks to its tonal characteristics being close as a mahogany tonewood. It offers a warm and soft sound, with a little “overtone” effect and a “woody” tone. They make your music more harmonic and pleasant, and a unique, stylish of woody guitars as well. As of mahogany, nato provides enough durability that guitar’s back and sides needed. The FG/FS series aims for affordability and playability. Using material like spruce and nato, Yamaha reduces a portion of the guitar’s cost while keeping the sound quality. But the Yamaha FG/FS 800 doesn’t only stop at using a cheaper alternative but also contains other factors to improve its sound production. The most impressive feature in these affordable guitars is the scalloped bracing. Guitar bracing is the soundboard on the back surface of the top body. These struts brake down energy exerted from the strings to reduce distortion when the top body resonate with the string’s vibration. The bracing has a significant effect on the tone of the guitar. The scalloped bracing, which is only seen in higher-end guitars, enhances low and mid-range responses. It creates warmer bass and richer mids. The scalloped bracing also helps the sound more sustainable – preserve the tonal qualities and volume when delivering through the air. This feature is more useful when you’re performing in a large space or room. The fretboard is also scalloped. A scalloped fretboard relieves your hand and fingers from using too much pressure for fretting. You just need to press the string so slightly that it can touch the top of the fret. Also, you are easier to perform some guitar techniques like vibrato, bendings, etc… on a scalloped fretboard. Moreover, you won’t have a chance to encounter fret-buzz with a scalloped fretboard. Fret-buzz is easy to occur in some normal guitars and especially low-action guitar – the distance between the strings and fretboard is very short. It’s because the distance between the strings and fretboard is too short that they collide together when the strings vibrate. A scalloped fretboard is actually a high-action fretboard, your strings cannot touch the whole fret but only its top. This results in the absence of fret-buzz and a clear, non-distortion sound. Both the Yamaha FG800 and Yamaha FS800 feature a full-length scale of 25”. This scale gives enough ideal length for each fret, especially the top frets, to produce accurately the desired frequencies of sound. 25” is also perfect for your arm to reach the first and second frets. Too long scale forces you to stretch your arms over so you’ll get fatigued and even pained. But a too short one will make you feel uncomfortable and uneasy to move your arms swiftly. While the scale indicates the length of the guitar’s neck, the nut describes the width. Yamaha FG/FS series guitar comes with a 43mm Urea nut. A 43mm-wide nut makes every single string separated so that you will not incidentally hold the wrong string. But 6 strings are not also too far away from each other, allowing you to play complex chords easily. Another impressive thing on this affordable Yamaha FG/FS guitar is the adjustable truss rod. A wooden guitar’s neck is likely to bend under the tension of the 6 steel strings. A truss rod is the metal bar inside the neck which keep and adjust its way of bending. You can make the neck completely straight by countering the string’s pull or a little bend forward, based on to your play style. An adjustable truss rod helps your guitar playing and tuning more effective and accurate. Some other steel-string guitars do not include a truss rod. The guitar neck might break or snap under extended usage and tension, leading to instrument breakage and even health issues for the guitarists. Every guitar in the FG/FS series comes with a pack of 6 chrome die-cast tuners. They are strong and capable to keep the whole guitar in tune for a long period of using. The chrome tuners are also elegant, perfectly suits the glossy body and matte neck. All these factors give the professional guitar-like look that all guitarists love! The only disappointing thing in the FG/FS series is the lack of electric pick up. No electric magnet or microphone means there is nothing to record and amplify your signal. It will be so weak to hear when you playing in a large space like in a hall or a stadium. In that case, you need to use an external microphone and other accessories to empower the guitar signal, in exchange for clumsiness and complex cables. Above are all the noticeable features of the Yamaha FG/FS guitar series. It is easy to recognize that those guitars are high-end instruments that comes with an affordable price, thus they could have a high record in selling amounts. The latest representatives in the series are the Yamaha FG800 and FS800. They possess almost the same characteristics: material, neck length, tuners, truss rod, and even the scalloped bracing. However, they differ in one distinct point: the size of the guitar. Their names have already indicated the differences in dimension: while FG stands for “Folk Guitar”, FS is the abbreviation of “Folk Small”. The Yamaha FG800 has a dreadnought size, 41 inches, that means a standard size. It’s the perfect dimension for an adult to hold the guitar comfortably. Meanwhile, the total length of the Yamaha FS800 is three-quarter of an inch less than the FG800, 40.18 inches. The difference might seem unnoticeable, but the actual feeling when playing is really different. It is more likely to perceive when you need to reach the top frets for the sweet highs, or when you have a small body and short arms. The smaller size also prevents muscle fatigue when you play or perform for a long period of time. In fact, if you feel hard and uncomfortable to press the highest frets, you can choose another guitar with a shorter scale. But shorter scale affects the frequencies of the notes, in other words, their tone. Therefore, many people who don’t fit a dreadnought FG800 will be likely to love the smaller but quality FS800. Moreover, differences between a Yamaha FG800 vs Yamaha FS800 is not only the size. It’s also the sound. Although many users reported not to recognize any changes in the sound of the two guitars, experienced guitarists and precise electric measurements can detect them. It is a little different in the guitar tone between FG800 and FS800. The smaller dimension does grant the FS800’s a brighter, higher sound than the FG800. FS800 can go a little higher than the FG800 at the same fret, producing more joyful highs. In contrast, the FG800’s large body enhances the low responses of the guitar, releasing warmer and clearer bass. Additionally, the larger top, as well as the soundboard, resonate more to produce a richer and louder sound. Bigger sound box and soundboard gives the FG800 more sustain and projection. The sound’s energy and direction are retained when being transferred through the air. It will be reflected accurately into the audiences’ ears, increasing your performance, especially in a large hall or stadium. However, the differences in the sound are not significant if your ear isn’t as sensitive as of a trained, experienced guitar expert. And you’re not playing in wide, vast spaces. In this case, the only thing you need to pay attention is which size gives you the most comfortable feeling and playing. Check out for more details on Yamaha FG800 and Yamaha FS800. The most crucial factor for the popularity of Yamaha pianos is the flexibility in product’s prices. You are easy to find a Yamaha model that fits your budget and needs. However, no matter the cost is, these pianos can last for years thanks to elaborate crafting. They are also be applied the most advanced and exclusive technologies to catch up with other higher-end pianos. If comparing a top-class Yamaha piano with another luxurious one, the former is often better in term of the sound and durability. You may think that Yamaha is only better at pianos, but the fact is that some of the best guitars and drums in the world still label Yamaha. They have enough knowledge and experiences to become a stubborn rival to Western musical instrument company. From 1942, Yamaha’s begin making guitars. With its experience, the company soon had many impressions and impacts that’s changed the world of guitars. 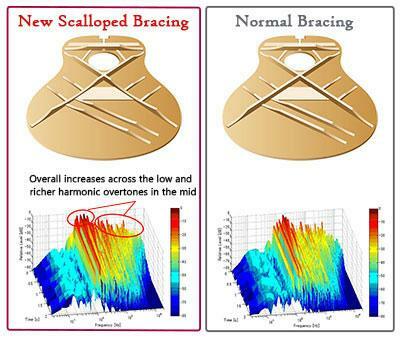 Yamaha always researches and develops many technologies to improve the instruments’ quality, such as scalloped bracing, modified non-scalloped bracing, and Zero Impact Pickup system, etc. Also, Yamaha innovatively makes use of Nato wood, the so-called Eastern Mahogany, to obtain the best balance between durability and tonal quality. Beside making top-class guitars, Yamaha also diversifies their guitars to serve various kinds of users and purposes. But whether a luxurious concert guitar or an affordable travel one, it always be made with enthusiasm and elaborate crafting. That’s why Yamaha’s guitars become one of the most popular choices of guitarists and artists, competing fairly with legendary Western brands like Martin or Ernie Balls. Size, and a little difference in the sound are the differences between Yamaha FG800 vs Yamaha FS800. Both of them are incredibly good guitars with surprisingly affordable prices. You rarely see the scalloped bracing and fretboard, the full-length 25” scale or the adjustable truss rod, etc… for a folk guitar of only $200. They are good choices for both beginners, intermediates and even some seniors. Just give it a try and you will love it! Remember to choose the size, FG800 or FS800, according to your body and play style!